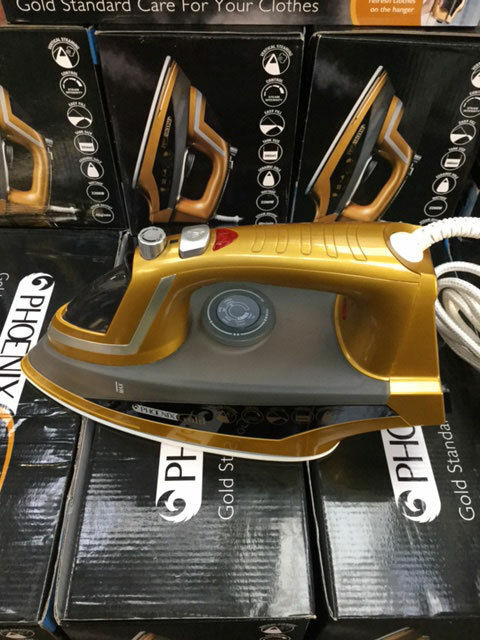 We have the JML Phoenix Gold steam iron available which usually retails for between £39.99 and £64.99, however we're offering the same iron for ONLY £14. The stock is Grade A and in very good condition. We have 12 pallets at the moment which have 180 irons on each, making a total of 2160 irons. Don't miss out on this one! 2200 watts. Steam output: 48g/min. Shot of steam: 105g/min. Capacity of water tank: 380ml. Anti-scale for hassle free maintenance. Anti-drip system to protect your clothes from water spillages. Ceramic soleplate with button groove. Dry tank alert.